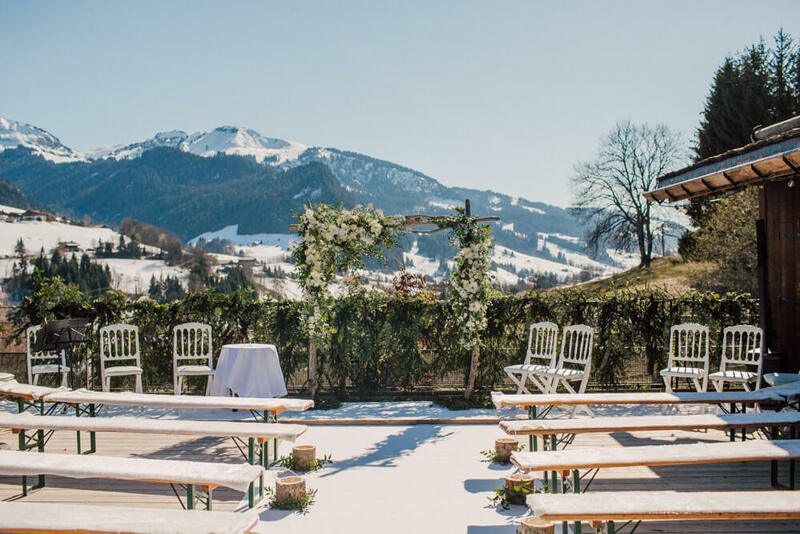 After the popularity of our recent blog ‘7 Reasons to Have Your Destination Wedding in the French Alps’, we wanted to show you some of our favourite wedding locations in the area. 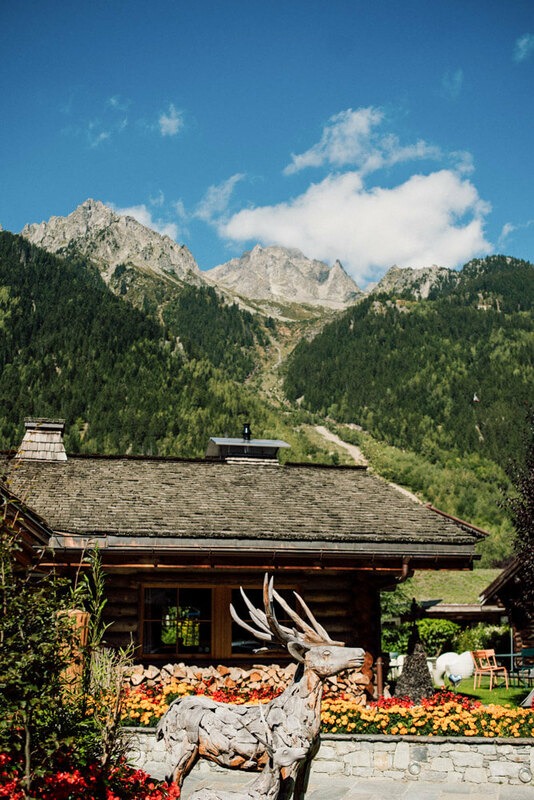 One of the most popular wedding destinations in the French Alps – and probably the most famous – has to be the ski resort of Chamonix. 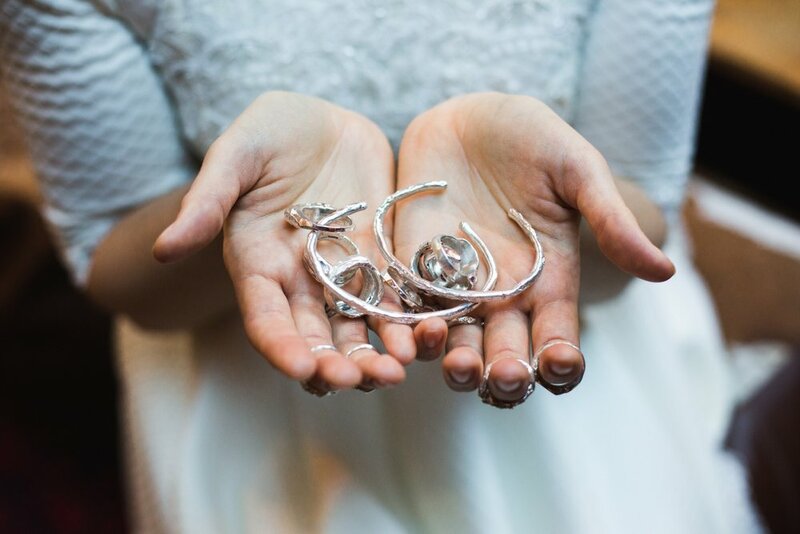 We recently spent the day there to meet wedding jeweller Garagosi (watch the video here) and to catch up with wedding planners Estelle and Monica of Haute Wedding. 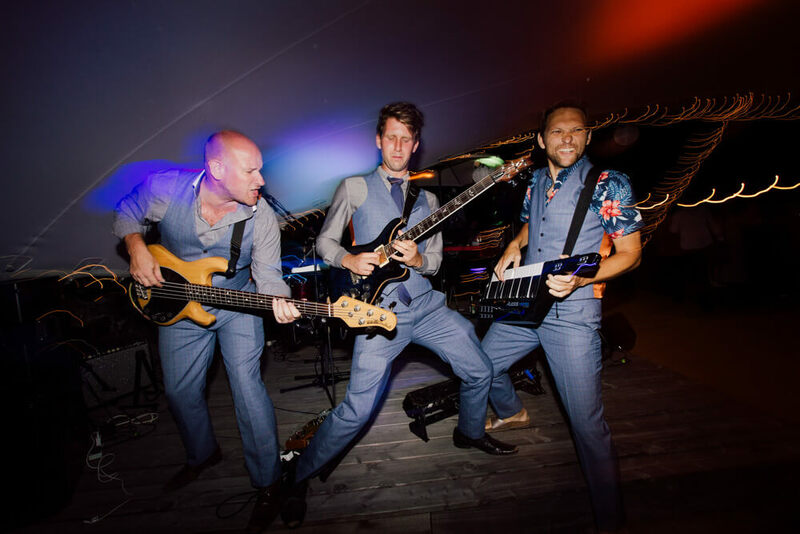 Haute Wedding are wedding planners and stylists that provide personally tailored, luxury wedding packages for couples who love all things French. 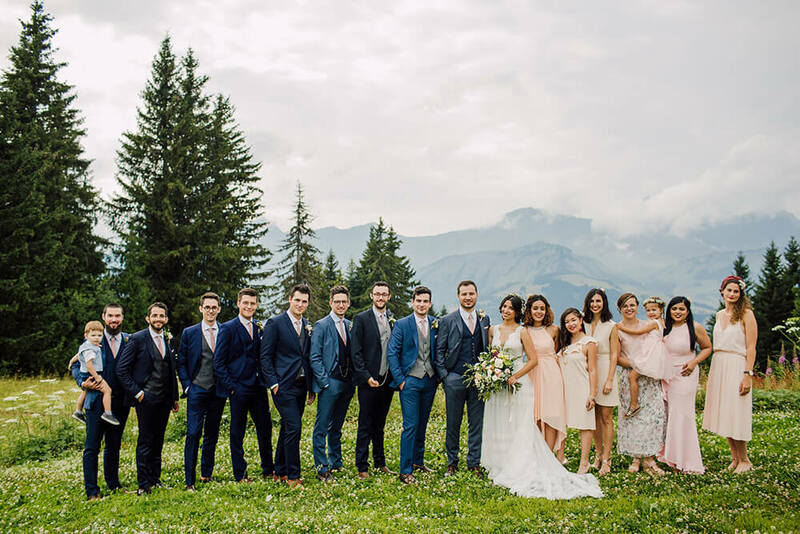 We met locally-born Estelle and her colleague Monica, who is originally from America, to find out why Chamonix is a great destination wedding choice. 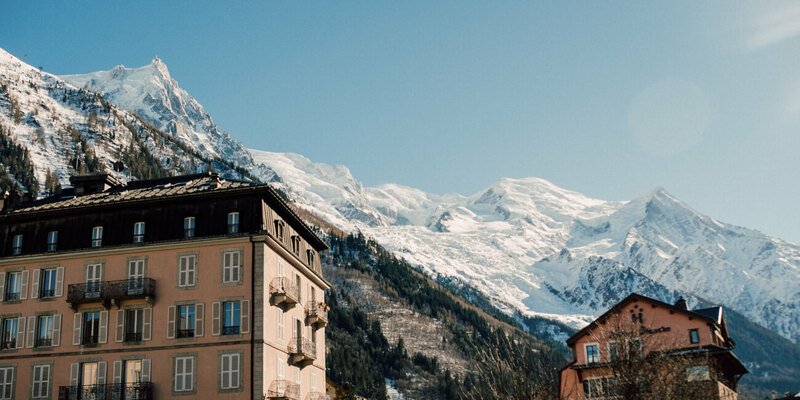 What makes this town so unique is how easy it is to get married at a high altitude, surrounded by the towering peaks of the Mont Blanc range. 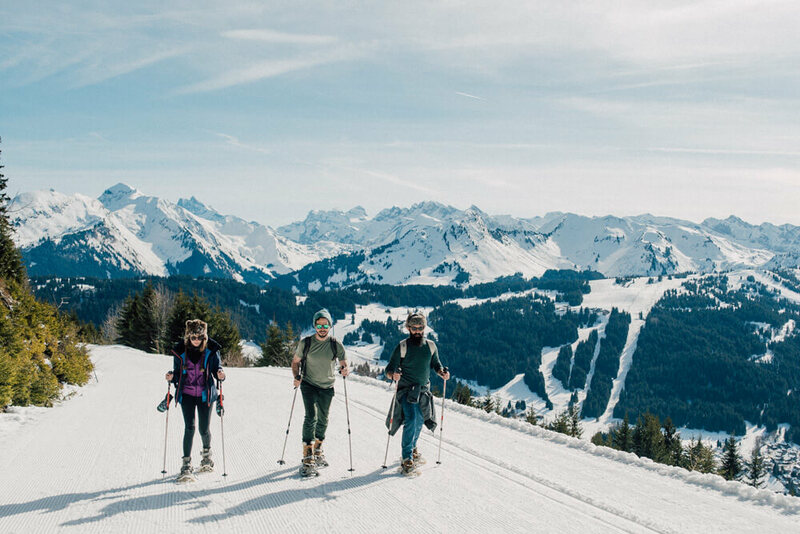 From the town itself you can hop on a cable car, chairlift or a cog train and be in the mountains – or even on a glacier – in less than 30 minutes. The Aiguille du Midi cable car takes you up to 3,777m in altitude in just 20 minutes, and from the top it feels like you could reach out and touch Mont Blanc. 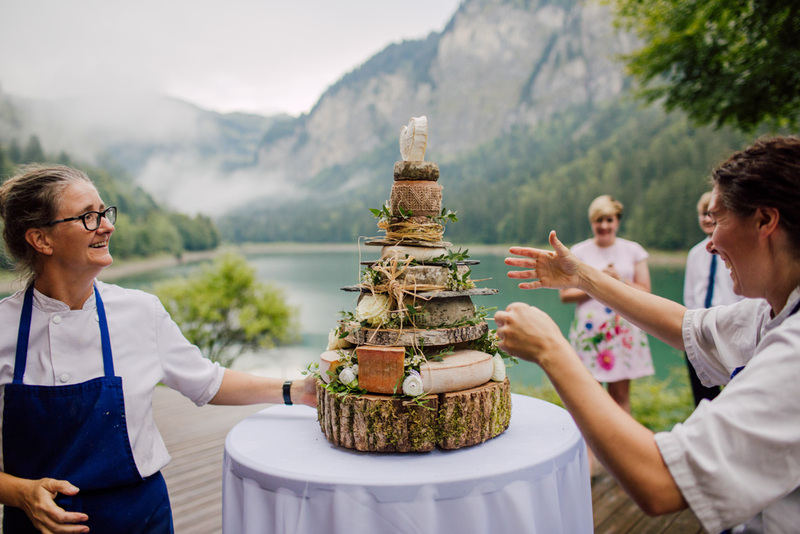 It’s no surprise then that outdoor ceremonies at altitude are a popular choice for weddings in Chamonix. Summer weddings are popular because the days are longer and the dry weather makes it easier to hold the ceremony outside. You can even opt to be flown in by paraglider! 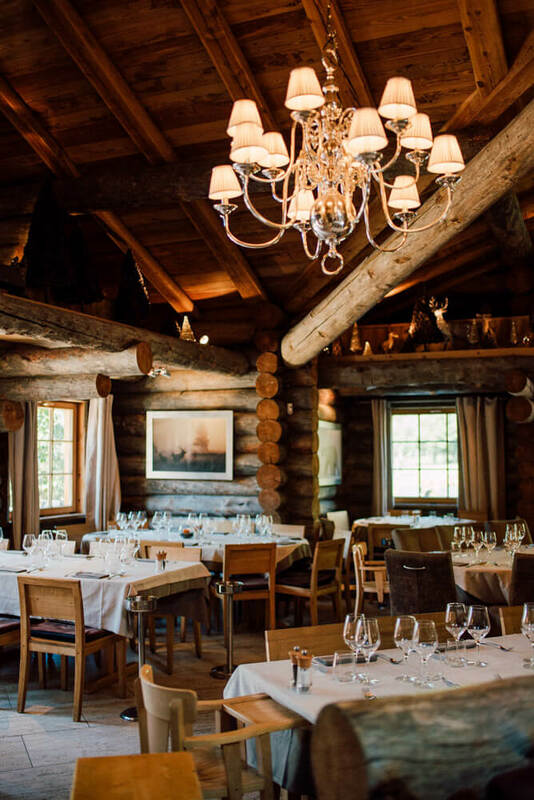 Monica believes there is something particularly “cosy, magical and elegant” about winter weddings, with their crackling fires, glowing candles, faux fur rugs and vin chaud. 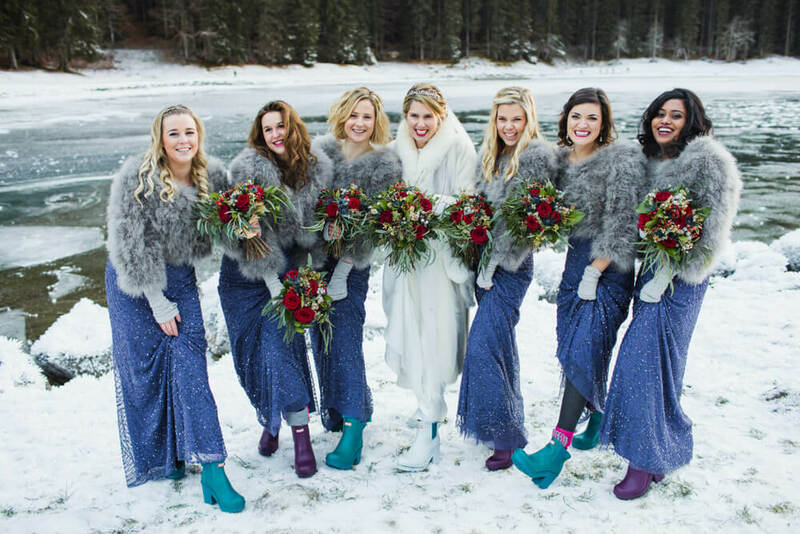 For outdoor winter weddings, it’s common for guests to arrive in their snow boots and be greeted with blankets, a hot drink and hand warmers, “so there’s a fun aspect to it”. Though you can get married here all year round, Monica and Estelle don’t recommend April as it’s usually the wettest month. Autumn is the best choice for ‘off-season’ weddings, with it’s warm days and beautiful golden colours. Chamonix has a long history as a destination for adrenaline activities such as mountaineering and skiing. 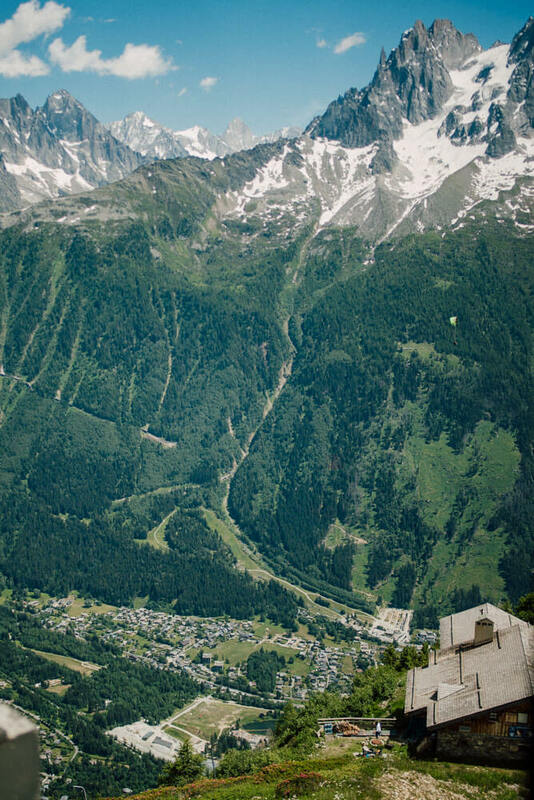 It was the location of the first Winter Olympic Games in 1924, and to this day the Chamonix valley hosts world-class events such as the UTMB trail-running race. In more recent years the town has become well-known as a destination for tourists simply looking to soak up the picture-perfect scenery and vibrant atmosphere. 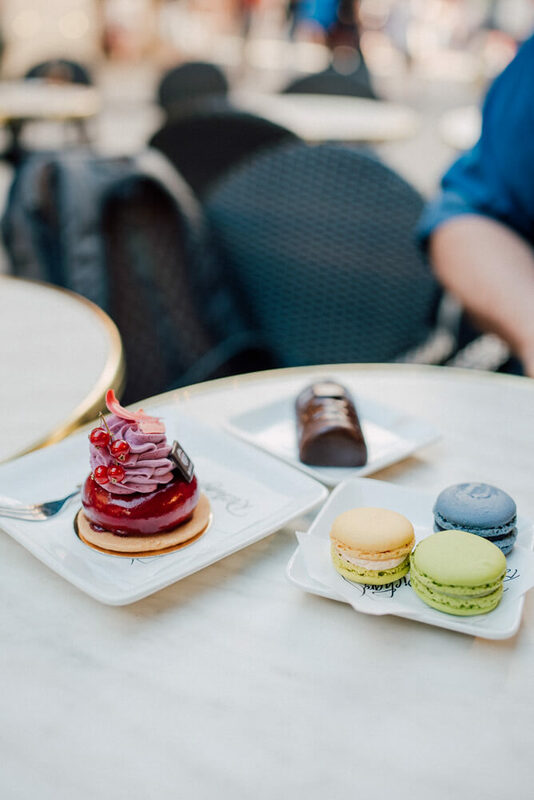 The town itself is packed with local and international shops and restaurants, and you can find regional specialities like raclette and tartiflette alongside world foods. There’s also a bustling nightlife scene, which is surprising for such a small town. 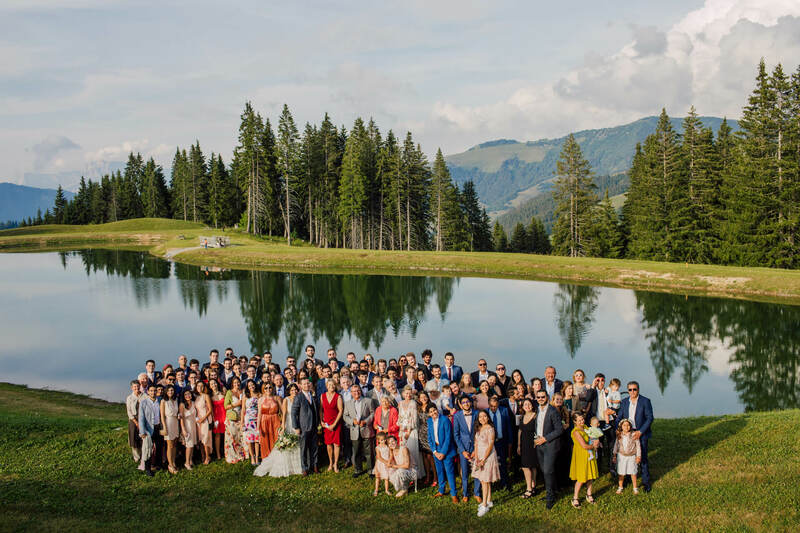 The surrounding mountains and hills offer an abundance of events for you and your guests to enjoy after the wedding. 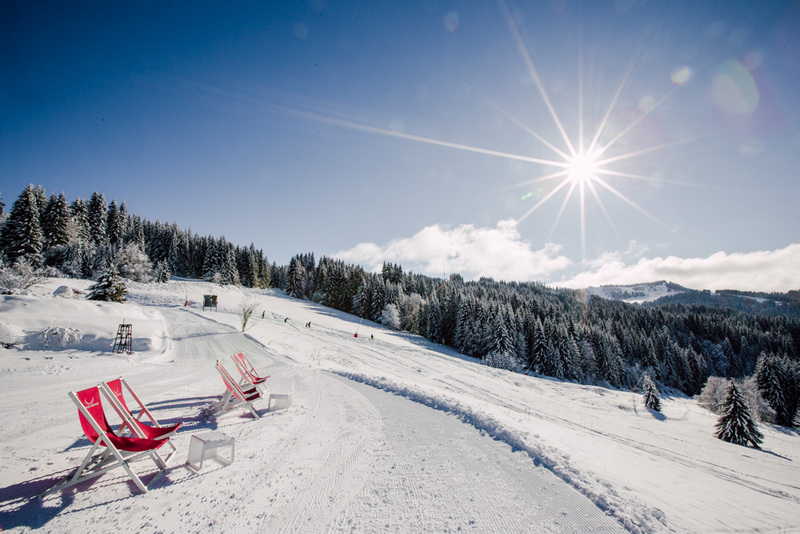 In winter, snow-sports are the top choice, including skiing, snowshoeing, sledding, dog-sledding, ski-touring and kite-skiing. If that all sounds too much, you can always relax in one of the town’s many spas instead. In summer, mountain biking and hiking are popular activities, alongside road cycling, yoga retreats, rock climbing and white water rafting. 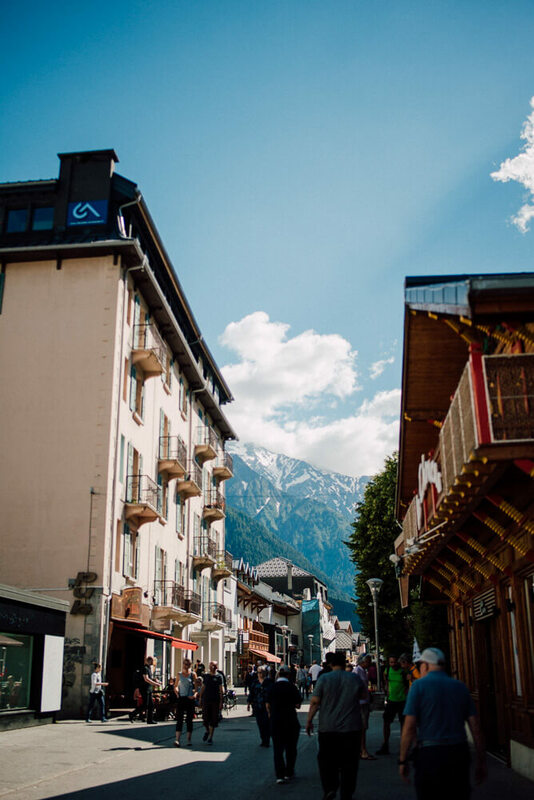 Chamonix is a typical French town in some respects, but it also has an international feel thanks to an influx of visitors from all over the world. It’s easy to find local companies that are fluent in English, which makes organising your wedding a breeze. Estelle tells us that their customers feel more comfortable knowing they’re fluent in several languages, including English, French and Swedish. 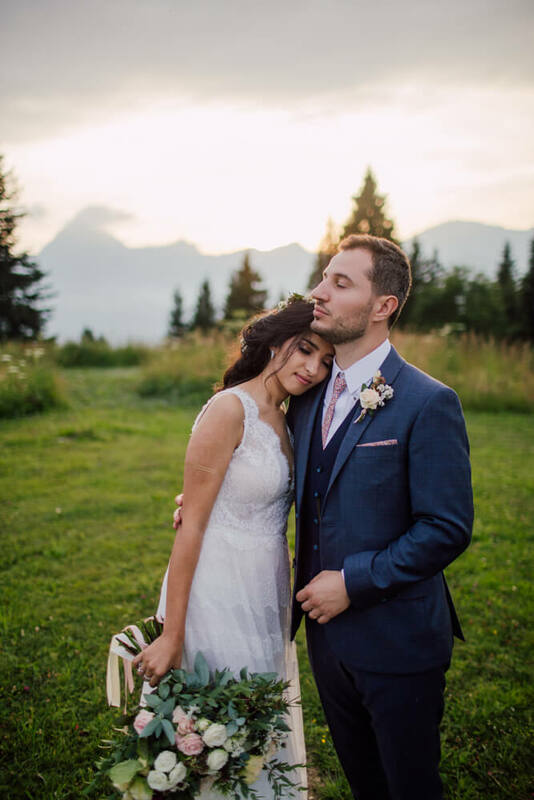 As well as being able to understand cultural differences, they can also make the process of planning a wedding in a foreign country a lot smoother. Bear in mind that if you want to legally get married in France, you need to have been a resident here for more than 40 days. That’s why many couples choose to have their legal wedding at home and a symbolic ceremony in the resort. 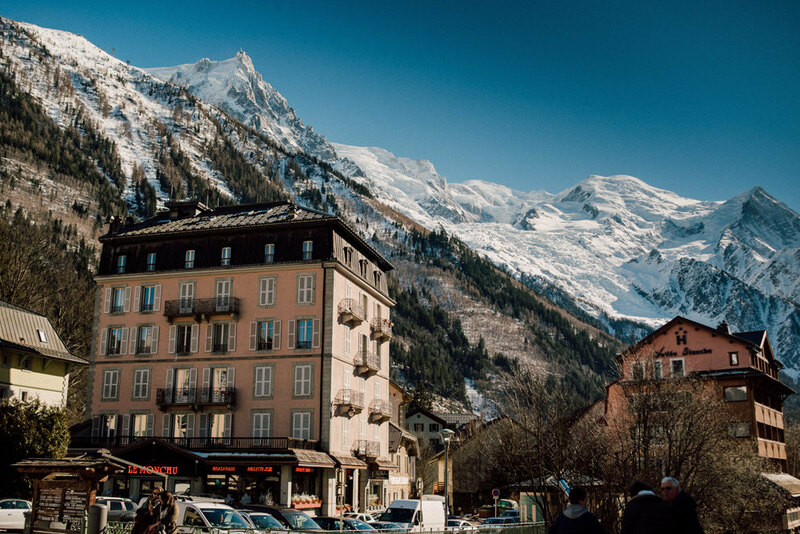 Chamonix is pretty unusual for an alpine destination in that it’s a short, easy drive from an international airport. Geneva Airport is just 1 hour 15 minutes away and offers flights to destinations around the world. There are dozens of transfer companies connecting Chamonix to the airport and other popular destinations in the area. 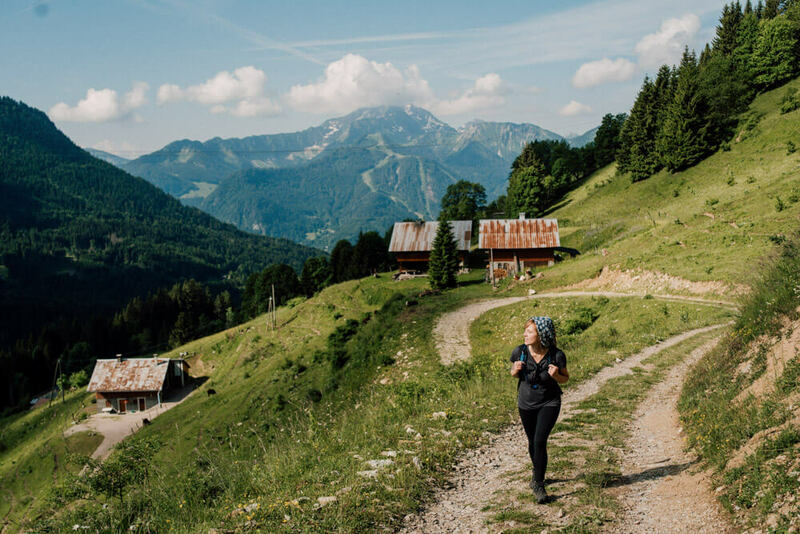 Chamonix is also close to the borders with Italy and Switzerland, which is ideal if you want to experience an alpine honeymoon with a different flavour. “A lot of our guests go on an Italian honeymoon afterwards because the Mont Blanc Tunnel is so close”, Estelle tells us. 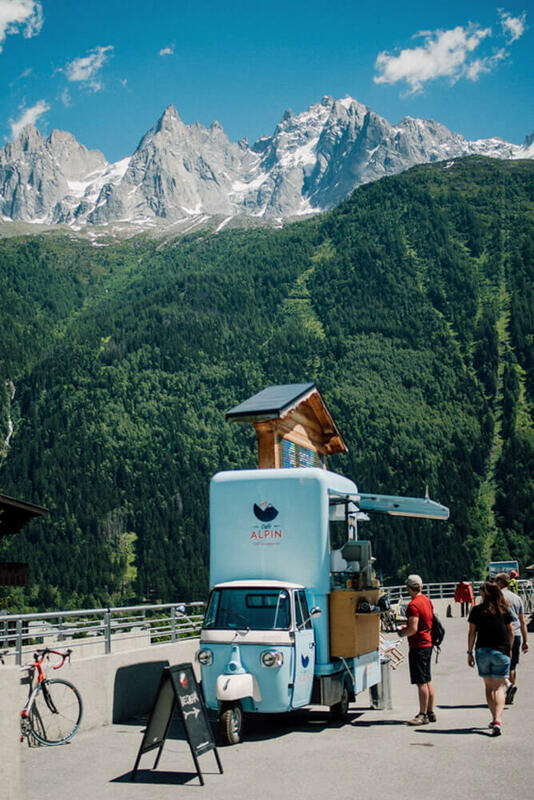 It’s just a 20 minute drive through the tunnel to the ski town of Courmayeur in Italy, which has a completely different feel despite also being at the foot of Mont Blanc. 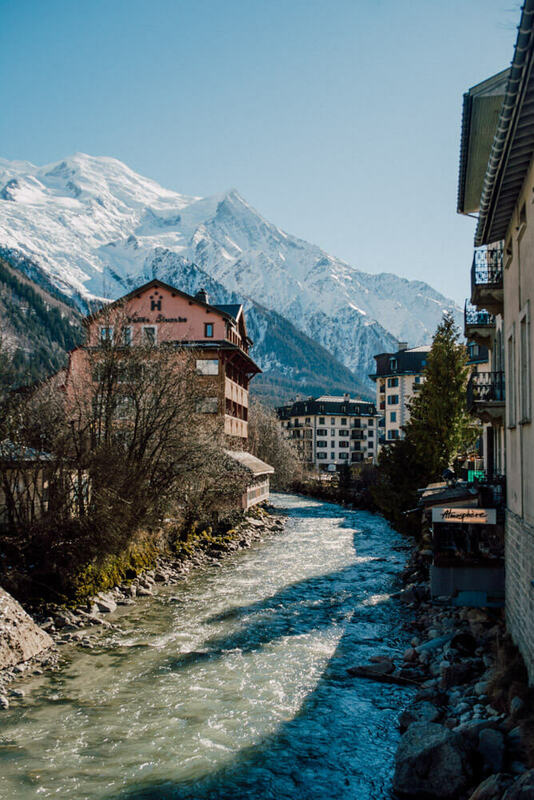 Chamonix is a great place to visit, whether you’re coming for a day trip, ski holiday or to get married. There’s so much to see and do, but it’s just as easy to do nothing and simply take it all in. 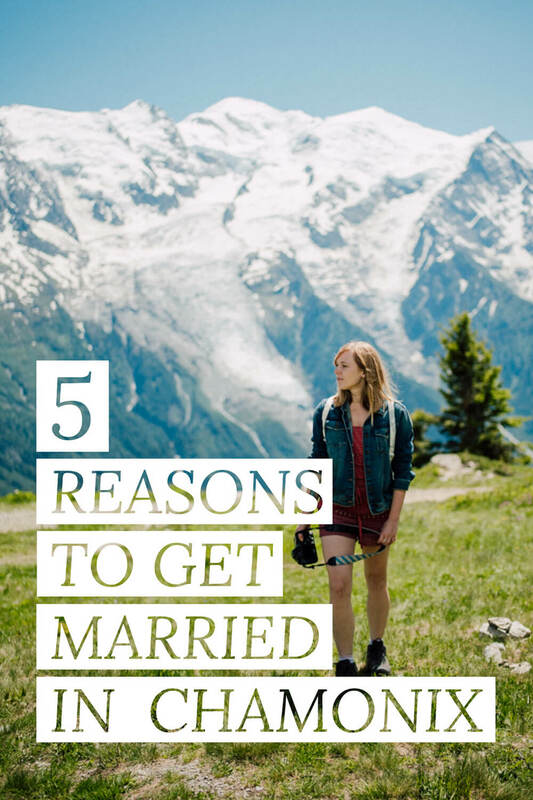 If you’re planning a destination wedding in the French Alps, it’s well worth considering Chamonix and we hope this guide has shown you why! Watch the video of our trip to Chamonix and the full interview with Monica and Estelle of Haute Wedding.